While there is much talk of a possible interference or intervention in Iran by the United States government, I thought it would be appropriate to talk to someone who has followed Iranian political developments closely. In the wake of the Iraqi invasion, the prospect of a similar plan for Iran is on everyone&apos;s mind. Although highly unlikely, as the rhetoric about Iran is intended to makes changes within the political structure — and no US official is admitting that their intentions goes beyond that –, the prospect of a possible plan for destabilizing the Islamic regime is not to be taken lightly. Henry Precht was a political officer in the American Embassy in Tehran from 1972 to 1976 and served as Chief of the Iran Desk in US State Department from 1978 to 1980. Those were the years of the Iranian Revolution and the hostage crisis, years of great political upheaval both for the US government as well as for the Shah&apos;s and the newly provisional revolutionary government in Iran. 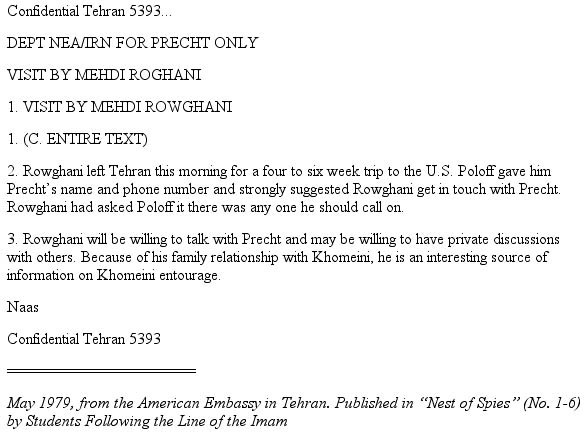 Precht has remained interested and involved in the Iranian affairs. He has followed both the cultural and the political scene in Iran from reading and writing articles in addition to watching acclaimed Iranian films. He lives with his wife in Maryland and his son is married to an Iranian expatriate. I started my job as a political/military officer, a sort of liaison between the State and Defense Departments, in the summer of 1972 in Tehran. The US was heavily involved in the sale of military equipment to the Shah&apos;s government and provided technical assistance to Iran&apos;s military. It was a terribly busy period in my career. We lived in Darrous. 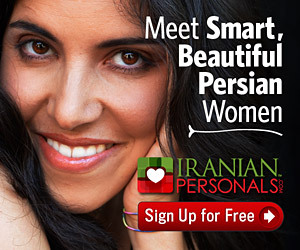 I didn&apos;t know many Iranians. I only worked with senior military people such as Generals Toufanian and Azhari. I cannot honestly say that we mingled much with ordinary Iranians or knew more than a few who were not part of the military. In a way, Tehran&apos;s garden walls were more than just perimeters of property; they were walls of barrier. It&apos;s hard for outsiders to get past them. In those days, the US was the major arms supplier to Iran. American companies really didn&apos;t have to push too hard to make sales as the Shah himself had a large appetite for arms, especially sophisticated weapons. Even when he couldn&apos;t afford them, he would use loans for purchases. Before 1972, the US policy towards Iran was to minimize the sale of weapons – first because it would create an arms race in the region and second it would be a great financial burden on the economy. However, when Nixon came to power, it was the Kissinger-Nixon Doctrine to let the Shah have whatever he wanted — everything except nuclear weapons. It was shortsighted on their part, for when Iran&apos;s oil income surged, the sales of arms soared too. In my opinion, Iran was spending way too much money on arms while it couldn&apos;t even handle them. That&apos;s why they needed American military personnel to help them. While the Shah was spending lavishly on military equipment Iran&apos;s social fabric remained relatively underdeveloped. Each year when American military officers from the National War College came to the Middle East and Iran, I would accompany them for an audience at Niavaran Palace. The Shah was supremely self-confident and well informed about a wide range of international affairs. He would talk to the colonels for about twenty minutes and then answer questions for about an hour in an informal setting. He would give intelligent answers to all the questions asked. However, there was one issue that he was uncomfortable with: the domestic opposition to his regime, the question of terrorist attacks on US military advisors. He would say he faced a Red and Black reactionary opposition, which was just a nuisance, not a serious threat to his rule. The Shah had a grandiose plan to make Iran into one of the world&apos;s preeminent powers, something like West Germany. Although my job had nothing to do with internal affairs, I always asked myself how was it that educated and professional people in Iran were able to tolerate having no political say whatsoever in their lives? They were unable to cast a vote or even express an opinion against the government. My answer was that many people — suddenly for the first time in the lives of their families — found themselves able to make decent money, afford expensive goods, travel, have hope for a better future. Why would they risk all that for political involvement that would certainly bring trouble without achieving change? Early in my assignment I met an Iranian journalist whose ideas differed from most people the Embassy knew. Privately, he was very critical of the Shah&apos;s regime, the sole voice that I heard express such thoughts. I used to send reports of my conversations with him to Washington just to show that Iranian opinion was not monolithic. Nobody ever paid any attention to those reports. Once I was taking Farsi lessons from a lady who was a member of an aristocratic Qajar family. I asked her, “Who do you think is the most popular leader in Iran?” She immediately answered, “Dr. Mohammad Mossadegh.” I said, “But, he&apos;s been dead for seven years.” She replied, “Yes, and you Americans took him from us!” This lady was a long-time, loyal employee of the embassy. I began to have serious doubts about Iran&apos;s stability towards the end of my four years. With a softening of the oil market, national income slumped. The government had to cancel some contracts. The construction section of the economy slowed down. People lost jobs. There was inflation and the Shah imposed price controls. Once in 1975 0r &apos;76 my wife and I were traveling through Azarbaijan. We stopped at a small shop. All the tin cans had new price labels pasted on them. Merchants were forced by the government to bring prices down. Those who didn&apos;t comply with the price freeze would be beaten up. Small shopkeepers in the bazaars, a natural support of the regime, were being maltreated. Why was the regime foolishly weakening its base? So the economy was showing signs of decline. People from the villages had been sucked into the cities to work on construction projects. Once near Hamedan, we gave a ride to a young man who was going to Tehran for a job to support his family back home. He was quite unhappy with his lot. I suppose he ended up marching in demonstrations against the Shah. In maybe 1975, Senator Percy was visiting and got a briefing regarding the situation in Iran from Richard Helms, the US ambassador at the time, who assured him that everything was fine. The Shah was in control and he was our staunch ally and a good friend. Afterwards, the Senator asked me to arrange a meeting with the then unofficial Israeli ambassador, Yuri Lubrani. Lubrani told us the Shah was in some trouble politically and the threat was coming from the clerics. They were not reconciled to his rule and he couldn&apos;t deal with them effectively. I had never heard such analysis in our Embassy. About the same time one of our political officers had made an appointment to visit a prominent mullah in the bazaar. But there was a call from the Minister of Court who told the Ambassador the meeting wasn&apos;t a good idea. The Ambassador told the officer not to go. In the summer of 1976, we went to a major international football game in Tehran. I don&apos;t remember who was the opposing team, perhaps Israel. When the King entered, everyone in the stadium stood up and shouted Javid Shah (long live the Shah). That impressed me. I learned later, however, that the audience was mostly military people, not the general public. In June 1978, I took over the Iran desk of the State Department. It was clear that the revolution had started — although we didn&apos;t use that word and most officials thought the Shah would somehow manage his troubles. The US government had no idea of who the opposition was and how much support it had. 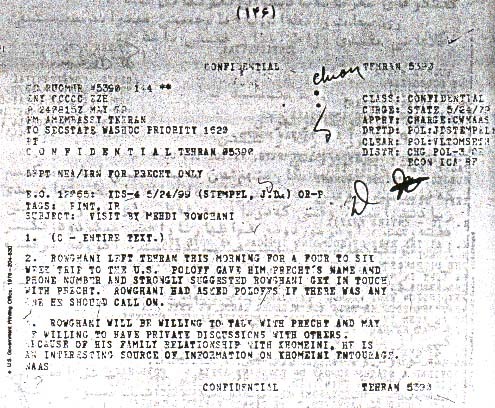 In May 1978, there was a secret cable from the Embassy referring to Ayatollah Khomeini which had to identify him for readers. We were ignorant about the political potential of the clergy or even the National Front and their respective influences in the Iranian society. Near the end of the hostage crisis, I had to go for minor surgery to Georgetown hospital [in Wasington DC] and next to me in the holding room I saw Loy Henderson. “Present at the creation, present at the finish,” I thought. While we were both recuperating, I walked to his room for a talk. To backtrack a bit, when I went on the Iran Desk I was given a big stack of official papers from 1952-53 to read for declassification. I brought them home and each night would read a few. Against that background I asked Ambassador Henderson what he thought of the Shah during his years in Tehran. “I read that you spent a lot of time talking to the Prime Minister or the Court Minister, but rarely the Shah. Didn&apos;t he count for much in those days?” “No,” Henderson said, “he didn&apos;t. The Shah was basically a weak person in dealing with difficult situations. He relied on others for advice. Only later did he develop his famous megalomania.” That matched my impression, for during the intense period of the Revolution, the great pride and confidence vanished. The Shah couldn&apos;t understand the enmity of the people towards him. Hoveyda and Alam were gone; he looked to the Americans to make decisions for him. We had no idea about the grave state of the Shah&apos;s health. We knew that he had been sick but didn&apos;t know how sick. We sort of closed our eyes to the reality because ours was a close relationship and we had invested heavily in it. For me the most frustrating time in my tenure was during the hostage crisis. I was concerned that the American hostages would be harmed or even killed; there had been many executions taking place after the revolution. I was not hopeful about our indirect messages to the Khomeini regime, but we had to persist, had to maintain hope that diplomacy might succeed. The Rescue Mission, I thought, was a bad idea. Let&apos;s talk about the Shah&apos;s son: I met him once when he was 18, I think. He seems to be an intelligent, serious and apparently well-motivated man, but he has no experience in governing or even in running a complex organization. He has had no experience in Iran since the revolution when his father&apos;s regime was on the losing side. He has not shared what most Iranians have endured. Iranians who have lived through those years are not likely to have strong feelings for him. Some of those too young to remember the years of turmoil and war and who chafe at the present oppression , may see him as a fresh and promising face. But why wouldn&apos;t they prefer someone who has struggled in Tehran against the clerical regime to one who has merely shouted against it from comfortable safety? I don&apos;t think Monarchy as an institution now holds much appeal for most Iranians. You asked about [Iranian-American politician] Mr. [Rob] Sobhani. I would think he would have even less appeal than the Crown Prince. Why should anyone who has failed as a conservative Republican candidate in Maryland expect to win popular approval as a liberal democrat in Iran? He probably has more of a “following” in the US than in Iran. But, of course, I am not in Iran and can only offer a distant perspective. In my view, change in Iran will come from within, not from without. New leaders will have to emerge from within the country. Any attempt by Washington to change regime in Tehran is apt to produce exactly the opposite result. Iranians – nationalists above everything else – will come together to oppose the foreign hand. I believe the US government should seek decent relations with every nation, not just Iran, and where there are differences, engage in an honest and frank debate with them. Have trade and show good will. We should eventually have diplomatic relations [with Iran] but that is not as important as much as economic and commercial connections and contacts between our two peoples. I see a positive future. Iran has enormous potential in human and natural resources and once the political situation is ameliorated, we can have a mutually beneficial relationship. Plainly, any successful regime in Iran must appeal to the larger population and its number one priority must be the economy — putting people back to work. A healthy economy is the essential basis for a sound political structure. And vice versa. The US should aid Iran in its future development both socially and economically – but only when our help is needed and asked for. Precht, like so many others, remains hopeful about the future. He wishes to go back one day and visit the country he was once part of its political life. For many Americans, Iran remains the mystical land, which it has been; the land of Omar Khayyam, Caviar, the beautiful Persian carpets that adorn many homes and which represent the rich and powerful culture of the country; above all it is the land of oil, which has been both the source of wealth and destitution for its nation. Iran has been off limits to most Americans since the hostage take-over some 24 years ago. But this besieged land will hopefully open its gates soon to offer the world what it has always embodied- a great civilization, a remarkable landscape, astonishing historical sites and more importantly, a hospitable, kind and generous people.